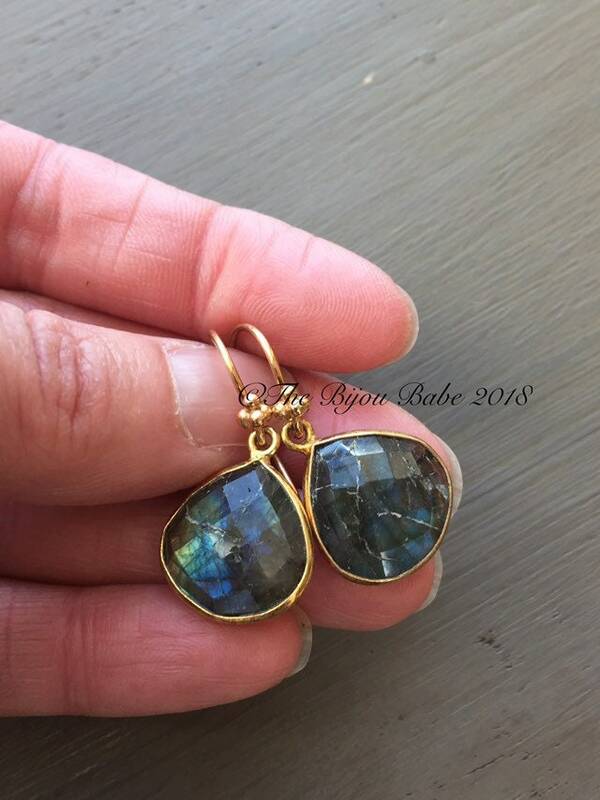 Large labradorite bezels (16mm) with amazing blue flash dangle simply and elegantly from 24kt *vermeil ear wires. 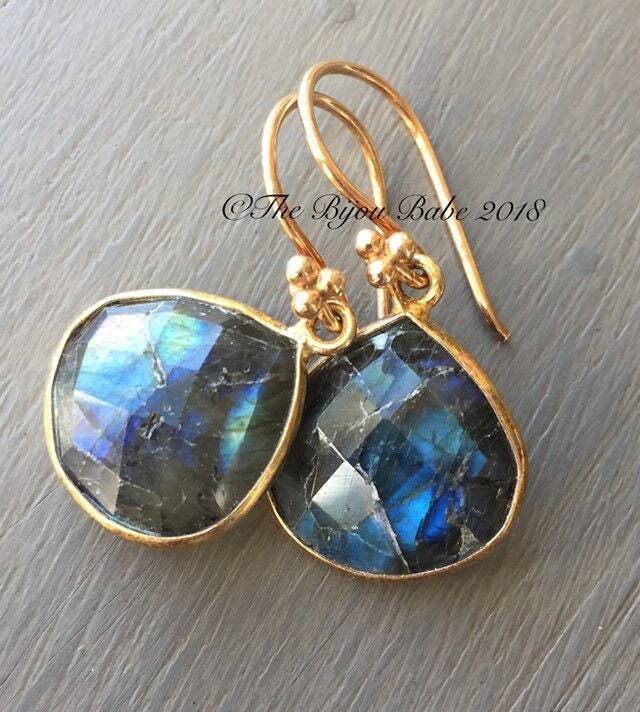 The labradorite have lovely faceting, are all natural, and do exhibit internal characteristics common with natural stones. The surrounding frame is also vermeil. 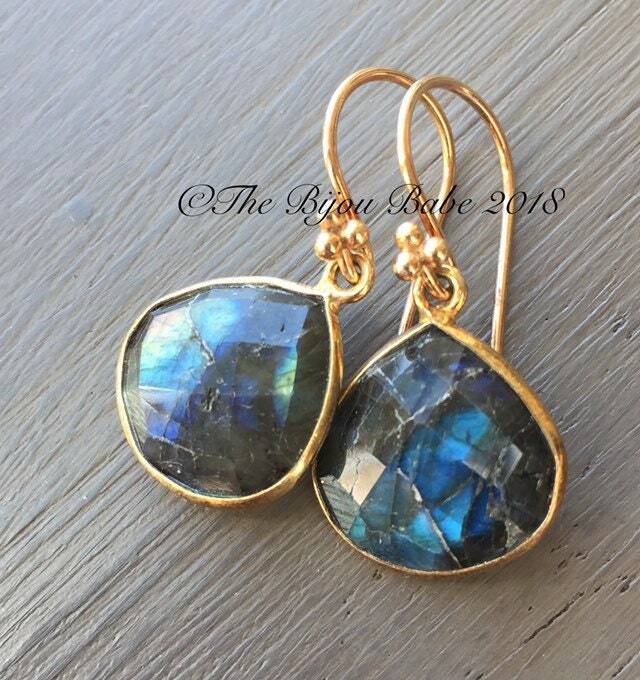 Your earrings will ship USPS first class mail with tracking in the US, and will be packaged in a lovely gift box tied with ribbon. Vermeil and gold filled are beautiful and affordable alternative to solid gold, and will retain its beauty, if cared for properly.